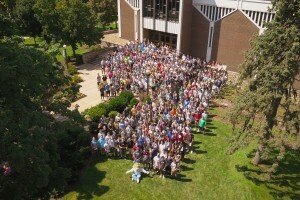 Lebanon Valley College welcomed a record-breaking 518 new students this fall, exceeding last year’s incoming student group, which was then the largest in the College’s history. 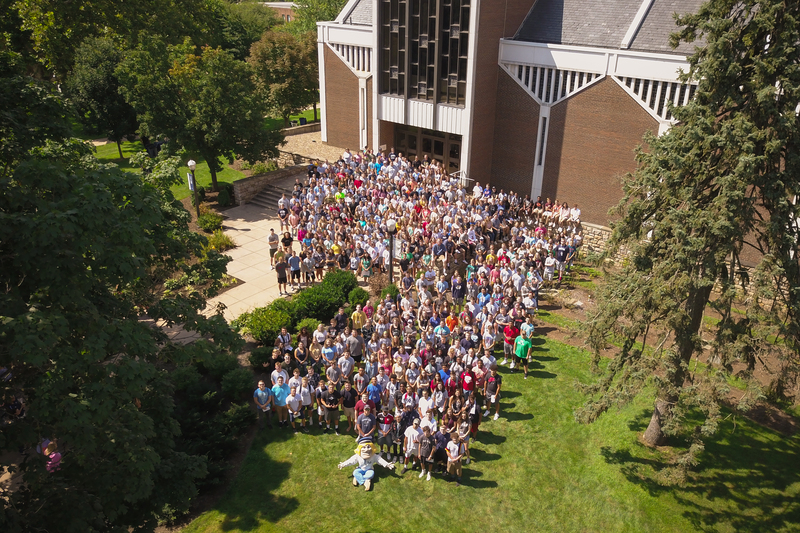 The fall 2018 class includes an all-time high 473 first-year students and 45 transfers. New and returning students have explored the newly-opened Jeanne and Edward H. Arnold Health Professions Pavilion, a $20-million state-of-the-art facility that is home to the physical therapy, athletic training, and exercise science programs and is open as a study and gathering space for all students. Students will also benefit from the Edward and Lynn Breen Center for Graduate Success, a next-generation model for career development that connects networking, internships, skill-building, and personal advising. The Breen Center will build upon LVC’s existing network, as career guidance site Zippia recently identified Lebanon Valley College as #1 among all U.S. colleges and universities in its listing of “The Best Colleges in Each State for Getting a Job 2018." The placement rate for Lebanon Valley is 96.185% according to College Scorecard data from the Class of 2008. The College’s move-in day included the traditional Water Ceremony, at which students bring water from home to combine in the Peace Garden pond, signifying the uniting of the class. After Opening Convocation on August 23, faculty and staff formed a welcome line to cheer the students on. The first week of classes featured the Week of Welcome with events including food trucks, class socials, and other activities designed to introduce new students to the campus community and the opportunities that await them, including internships, leadership roles, student organizations, and athletics teams. Casey Burke ’19 M’21, president of Student Government, talked to students about the importance of putting themselves out there and doing things outside their comfort zone. Editor’s Note: Watch the video of move-in day here and view the Facebook photo album here.